Thanks so much for having me on RomFan! Good luck to commenters and happy holidays!! 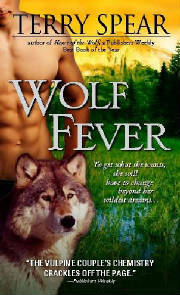 Wolf Fever sounds like a great story, and I'm looking forward to reading Heart of the Highland Wolf as well. I love stories set in the Highlands, and this one sounds fantastic. 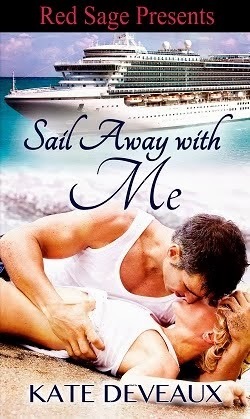 I love Terri's wolf books----am so glad there will be more! I love these books. I can't wait to read Wolf Fever! The books sound great. Book 6 was made because the fans loved the character...so cool. There are lots of books where I wished the author would do a story for certain characters. Thanks for the post and please count me in for this contest. I'd love to try out your books. This series rocks!!!!! Terry Is one of my most favorite authors ever. Great Interview. Thanks so much, ladies!!! My comments are disappearing.... Blogger...*sigh*....I'm at work on my lunch break and have to go back to work, *bigger sigh* ...but you all made my day! Thanks for all the wonderful comments! Terry, if you're having issues posting, then please let me know. I thought I'd fixed the problem, but if you're having issues, I'll go through and check the settings again.